I made these as part of this month's Practice Bakes Perfect Challenge over at The Cookie Connection. The colors were drawn from the palette there. 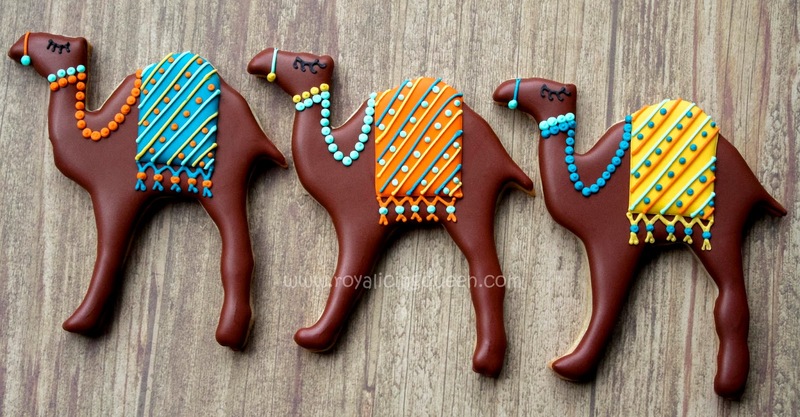 The camel cookie cutter is from www.cheapcookiecutters.com. I used my oven trick to quick-set the top of the brown/rust icing since I know from experience that the camel's legs might have cratered or had a sunken look if left to air dry. I added added the harness and rug details a little while later.